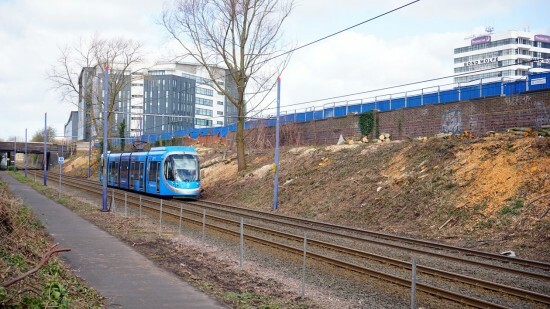 Over the years that West Midlands Metro has been operating the trees alongside the tramway have become more and more overgrown, adding to problems with leaf fall on the tracks as well as potentially causing overhead problems with overhanging branches. But now a programme of works is underway to cut the trees back which as well as improving the potential service in the future will also open up plenty of new photographic opportunities. Where once there were trees there are now none! 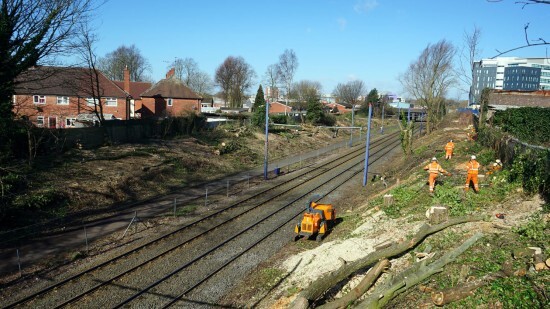 With work between West Bromwich and Lodge Road the new vista is seen here.